What do I need to do to reserve an event with Adventure Air Sports? Call the park and we’ll put together a reservation for you. A $100.00 non-refundable deposit, will be due at the time of booking. Balance due 48 hours prior to the event. We accept payment by credit card or cash. Then, invite your guests and we do the rest. What if some of my guests do not show up? Do I still pay for them? When booking a special event, we require a final headcount two (2) business days prior to your event. You’ll be charged for this final count or the number of guests in actual attendance, whichever is higher. Encourage your guests to RSVP and show up for the fun! What happens if more guests arrive than the contracted amount? Seating is guaranteed for the numbers of guests on the reservation contract. If your guest count increases beyond the capacity of the assigned event area, other options are subject to availability and are not guaranteed. How many guests are required to book an event? A minimum of 10 guests is required for all event packages. 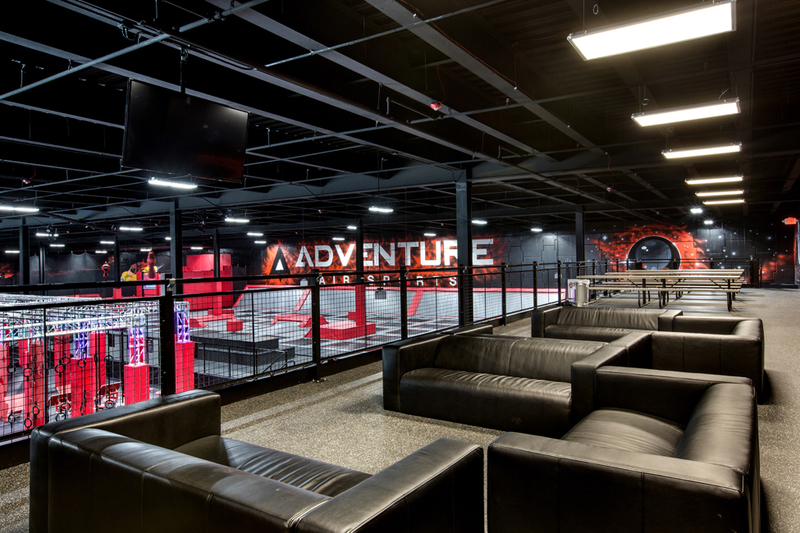 How do I know that my event is confirmed at Adventure Air Sports Kennesaw? Once you agree to the terms and conditions and pay your deposit, your event is confirmed with us. You will receive a confirmation email, outlining the details of your event. How do I make changes to my event after it is confirmed? To make changes to your event after it is confirmed, please call the event manager listed on your email confirmation. You will receive your finalization call 48 hours prior to your event, please inform the representative of any and all changes. They will be happy to help you! All changes must be submitted at least 48 hours prior to the event for approval. What needs to be done if I need to cancel my event? A non-refundable deposit is required to book your event. If you need to look into moving your event date or time, please contact your event manager listed on your email confirmation and they will work with you to find alternate dates. Adventure Air Sports would like to invite you to come experience our state-of-the-art world class extreme recreation park. Offering a variety of attractions from a very large trampoline main court with parkour elements, to one of the largest Ninja Warrior obstacle courses in the area. Fly high above our foam pits on our indoor zip line or challenge your friends to the top of our climbing wall. Jump to new heights on Mad Maxx, the only Supertramp in the Atlanta area. This just names a few of the amazing attractions we have at Adventure Air Sports. You really have to see it to believe it. Adventure Air Sports is great for all ages and is the perfect spot to host Birthday parties, group events, field trips or even team building events. We’ve got so much to offer, the only thing missing is you!